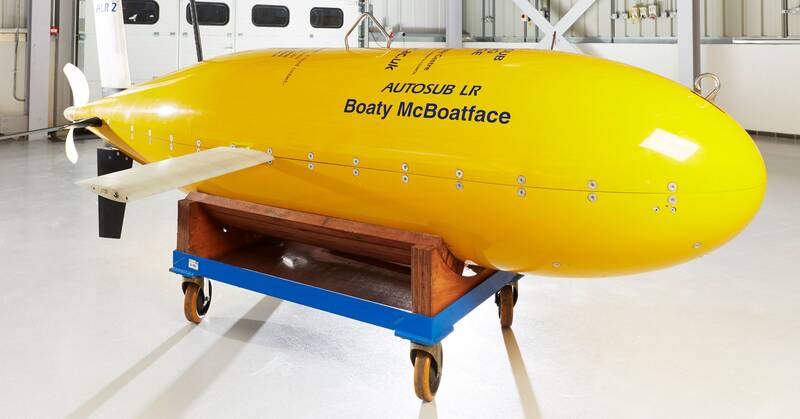 Boaty McBoatface may be better known for its name than for its oceangoing prowess. But the autonomous underwater vehicle and darling of the internet is headed to greater things: embarking on the longest journey of an AUV by far, with an uninterrupted, roughly 2,000-mile crossing of the Arctic Ocean. The submersible robot got its moniker when it became the consolation prize in a 2016 publicity stunt. The United Kingdom's Natural Environmental Research Council had created an online poll to name the country's new polar research ship. The public picked “Boaty McBoatface” (suggested by a BBC radio announcer), but the British government nixed the idea and named the ship after naturalist David Attenborough. Instead a 12-foot long, 1,500-pound AUV got the moniker, which is emblazoned across its bulbous yellow hull. Once the PR hubbub died down, British scientists started putting Boaty to work in treacherous areas. The probe has explored the waters beneath Antarctica on multiday jaunts: Its first mission in 2017 was to Antarctica’s Weddell Sea, where it made a 13,000-foot dive into the Orkney Passage—a narrow chasm where cold water flows down an underwater canyon like a waterfall. Scientists wanted to know more about the deep passage and how the mixing of frigid Antarctic waters with the warmer Southern Ocean affected ocean currents and the climate.